Natural casings are a natural product. They have been used since time immemorial to store and preserve meat in a natural way (drying, smoking or for preparations like salami) or to wrap meat preparations in an edible casing. It is a simple, honest and fair product, which was already being described in Homer's Odyssey, almost 3,000 years ago! It is natural, easily digestible and safe. It breathes, yet is both strong and flexible. No man-made product comes close to reproducing the qualities of natural casings, never mind matching them. 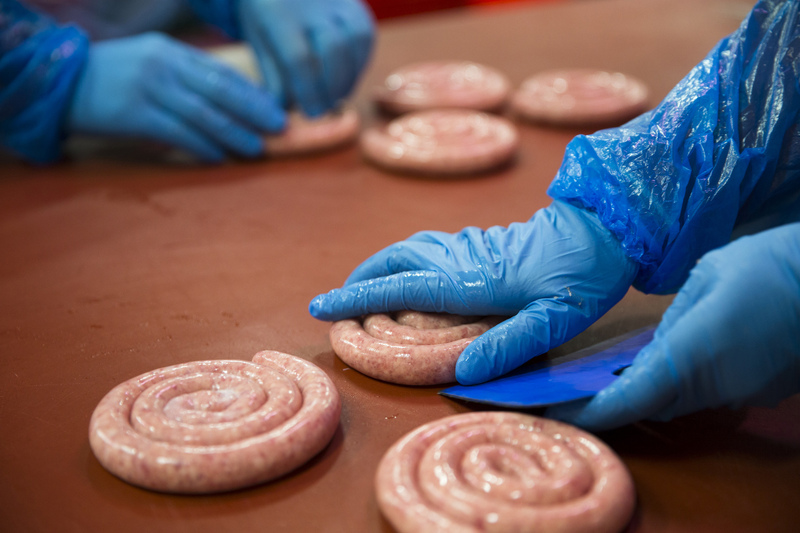 Our VDJ-natural casing is processed from pig, sheep or bovine intestines. Depending on which part of the intestine is used, the different animals provide different qualities and calibers. It is extremely important to make the right choice for the product or preparation you want to create. Nothing can match the qualities of natural casings.